With 20 years of experience, Fuire Family Law gives you peace of mind and assurance that your case is in the right hands. Dennis P. Fuire brings over two decades of experience being an effective and straight-talking lawyer who guides and advocates for clients in family issues, including divorce, child custody and support, community property division and legal affairs planning, including Wills, Revocable Living Trusts, Estate Planning, and Powers of Attorney. Over the past two decades, Dennis P. Fuire has successfully guided clients through tough family issues and their legal affairs planning. If you’re looking for a Calabasas divorce attorney that can help guide you through uncertain times ahead, he can bring clarity to your situation. Dennis understands that family legal issues can take an emotional and financial toll on individuals and will stand by your side through the entire process. He understands that each client requires a customized legal strategy to achieve their goals. Dennis offers his clients more than just solid legal know how and experience; he helps them navigate the unsure and tumultuous times ahead of them with attention and understanding. His philosophy is to arm his clients with a working knowledge of their rights and potential obligations while standing by as an effective advocate. You may have never imagined that you would face the prospect of a divorce or have to decide how to divide your assets. You might be in complete shock with many questions, or you may be completely resolved to move forward in the divorce process. Whichever scenario fits you best, I can help. You do not want to enter into divorce and custody proceedings without a trusted family lawyer. Getting the family law counsel you need to move forward will make all the difference when making life-altering decisions that will have long-lasting effects on your family. You do not have to be railroaded in your divorce case or feel alone during court procedures. I can help you with important decisions like who should get the house, car, and vacation property, as well as the most ideal circumstances when it comes to sharing your children during holidays. 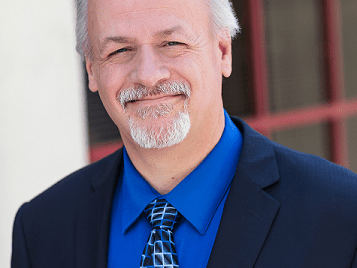 For the past 20 years, my family law practice has helped many families in the San Fernando Valley, Los Angeles County, Ventura County, and all over Southern California make proper, fair decisions in divorce cases and child custody hearings. As a family lawyer, I understand that that there are no real winners when families must split, but I focus on representing my client to achieve a just and equitable outcome, and I employ proven legal strategies to ensure that my client’s interests and assets are protected. I am committed to fighting for your rights and resolving your family law problems. Contact us today to learn how Fuire Family Law in Calabasas can help you identify what is best for your family at this time and direct you in making these difficult decisions..
Estate administration or estate planning, is a portion of family law that also requires experience and knowledge of local and state laws in order to protect the interest of your family. You can begin with drawing up a will, however, that is only the beginning of making sure everything provided in the will is handled properly. Whether there is a will or a loved one passes on without one, you will need a knowledgeable family attorney to help make sure your estate’s assets are appropriately accounted for, divided, and maintained. Call us at (818)222-4900 for help with your estate planning matters! • Submission of the Will to Probate—This step is necessary to prove that the will is valid and unaltered in anyway. I will help walk you through the process, making it as painless as possible. • Trust Accounts Administration—Distributing assets and funds for an estate is another important part of the estate administration process. I make sure funds are properly distributed and help protect the interests of the estate against fraud. I account for how much, how often, and where the funds are distributed. More than a fill-in-the-blank solution, I help guide you through the process of administering trust funds to family members or other parties named in the will. • Claims Against the Estate— It is not uncommon for parties to disagree with provisions made in the will. While it is not an ideal situation, it may be necessary to actually bring a claim against the decedent’s estate, or in fact, defend a claim brought against it. In either case, I have got you covered. Do not leave the future of your estate to chance; get protection with proper estate administration. Contact us today to ensure your assets are secure! Have you made provisions for your family in the case of your death? Many people pass on without properly documenting what they would like done with their valuables and assets after they have gone on. Proper planning relieves undue pressure on family members in an already stressful time. Wills are legally binding documents that allow you to voice your desires after you are no longer able to make them known. Thankfully, drafting your last will and testament does not require many steps or exorbitant costs. However, the more assets you have, the more important it is for you to seek legal advice about drafting your will. I can help you document your wishes and make sure they are carried out as you have prescribed. For two decades, I have helped families protect what they have worked for by drafting wills that plainly articulate their wishes. Contact us today to find out how Fuire Family Law can help with your will! Clear Language—Leave no room for interpretation as it pertains to your assets, bank accounts, and life insurance policies. I will help you plainly describe how you want your estate handled. Legal Witness —Drafting a will does not require an attorney, but using one will add credibility to the document and keep your wishes confidential. Covers All the Bases—Fuire Family Law can help you identify areas you need to address. As years and assets fluctuate, it is a good habit to consult with your family lawyer to re-assess what should be included, and how it should be addressed. It is never too early to begin drafting your will. In fact, the moment you begin to accrue wealth, assets, or life insurance policies, you should begin making your wishes known. As mentioned earlier, while you do not have to use an attorney to draft wills, it can help things run much smoother after you are gone, and it cuts down on miscommunication. If you are looking for a complete solution for your family law needs, Fuire Family Law is the solution. Call us at (818)222-4900 to see how Dennis P. Fuire can help you protect your family’s future and provide professional legal counsel to help you navigate some of life’s toughest obstacles. After recently retiring, I realized I needed help with protecting the nest egg I’d saved up over the years. I’m glad I found Dennis to help with my estate planning because he was very helpful in outlining all the considerations for preserving my wealth.